Most of Our stock text tape designs are available from stock for next day delivery We have over 100 stock text designs to choose from. Most standard stock text designs are in stock and ready for next day delivery. They are produced from either vinyl 50 micron material or the cheaper grade hot melt polypropylene 30 micron. Just email us with an enquiry and one of our sales team will email you a quote within 5 minutes. 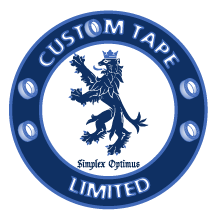 We have an online store where you can purchase pre printed or standard stock text printed tape please visit our website at http://customprintedtape.co.uk/ if you wish to purchase online (usually dispatched in 24hrs). 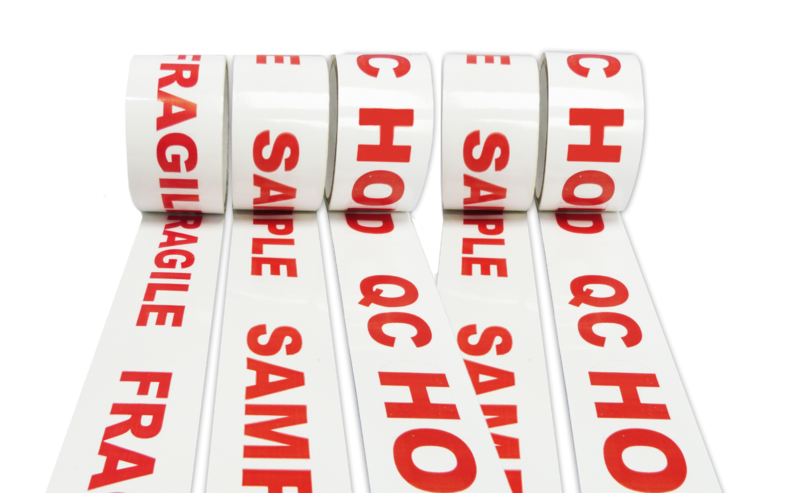 Custom printed stock tape is a great way to protect the contents of your packages in transit. Personalize your packaging tape to gain maximum exposure in today’s competitive market place. Speak to one of our highly skilled sales team today!